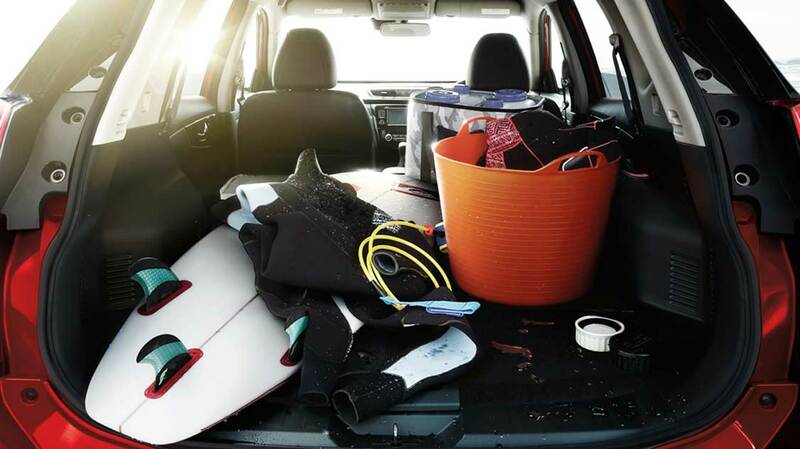 Perfectly styled for everyday family adventures. 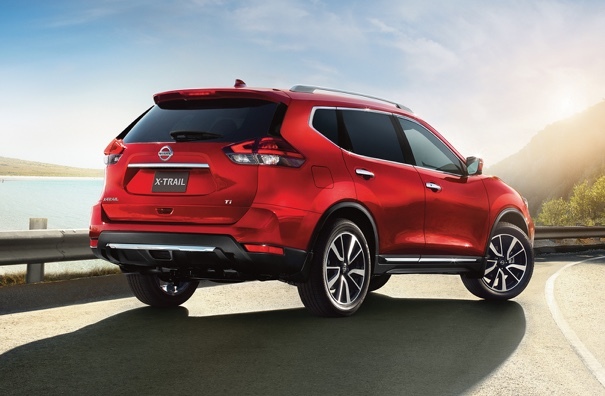 Open up to a bigger, bolder world, and get there in a spacious family SUV that brings a sophisticated look to consistent capability. 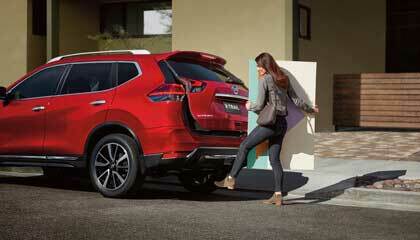 From kids to cargo, you can load up in a flash with an interior that adapts to any situation. 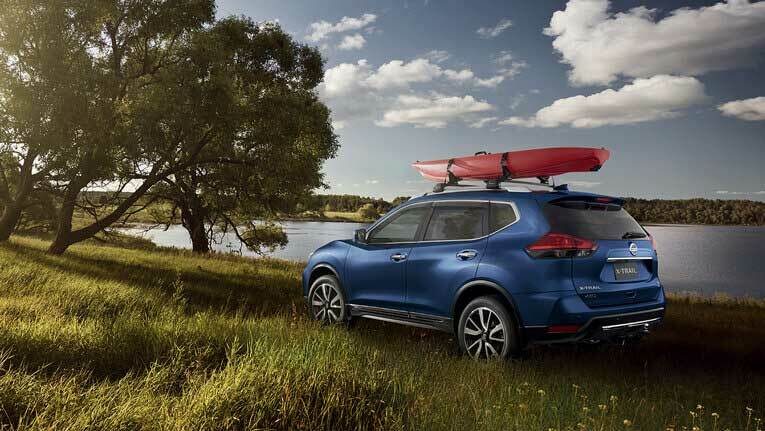 Wherever you’re going, you can go there safe in the knowledge that Nissan Intelligent Mobility technologies are there to help. 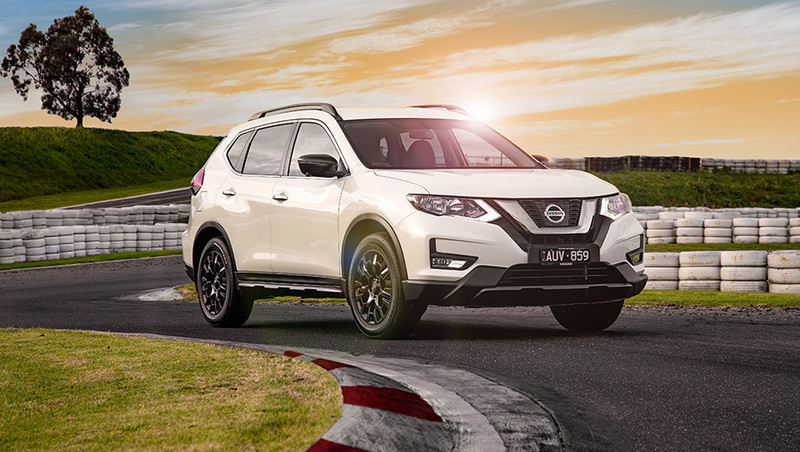 So slide into gear with the Nissan X-TRAIL and explore the world's best-selling SUV (Global Sales Data 2017). Ti model shown in Ruby Red. 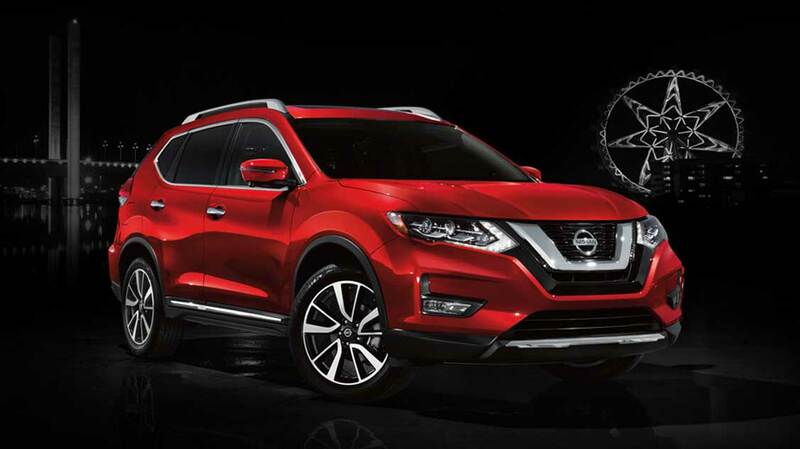 The new Nissan X-TRAIL offers updated exterior styling - an enlarged Nissan "V-motion" grille, updated headlights with LED signature daytime running lights, and new 19-inch alloy wheels^ combine to make this the most stylish Nissan X-TRAIL yet. Ti shown in Ruby Red. 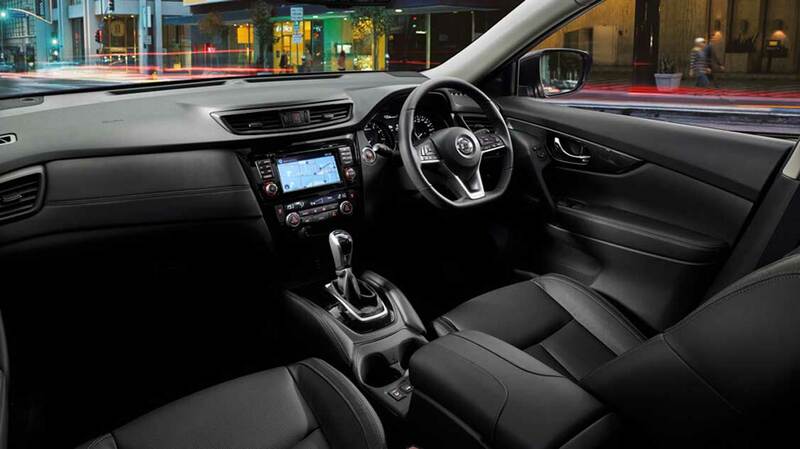 Attention to detail is a hallmark of the Nissan X-TRAIL interior design. The quality is instantly apparent, from the plush double-stitched leather-accented seats^, to the piano black and metallic trim, and the sporty flat-bottom steering wheel. 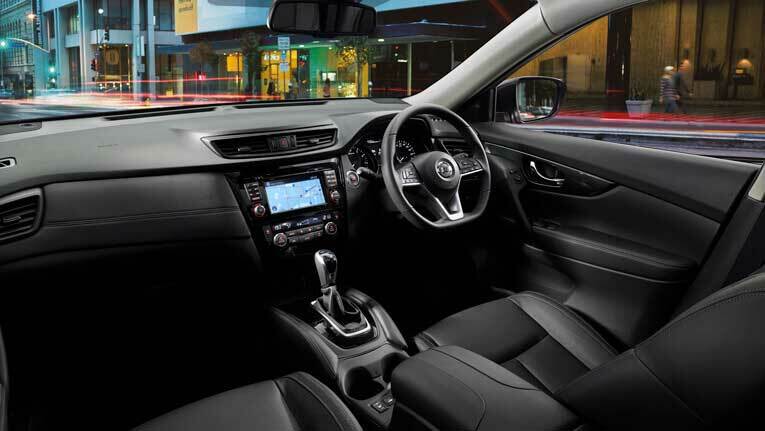 The seats have been designed for optimum comfort with Quick Comfort heated seats and steering wheel* ideal for frosty mornings. And it’s not just about the driver. 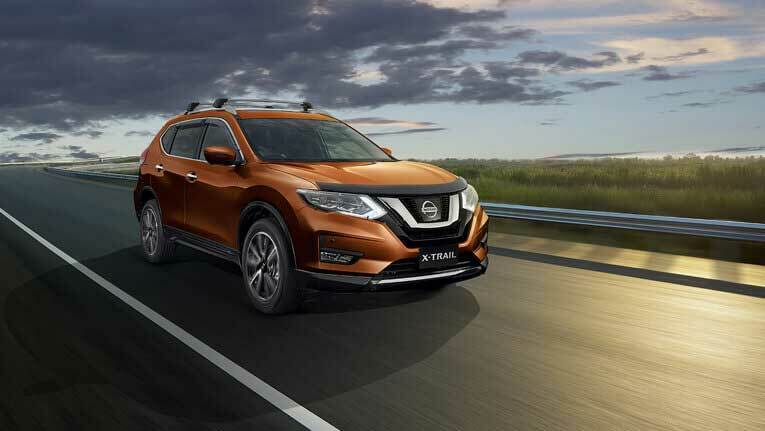 Passengers enjoy theatre-style seating, tilt and slide panoramic sunroof* and EZ Flex™ second-row seats that slide and recline to allow for more leg room or increased cargo space. 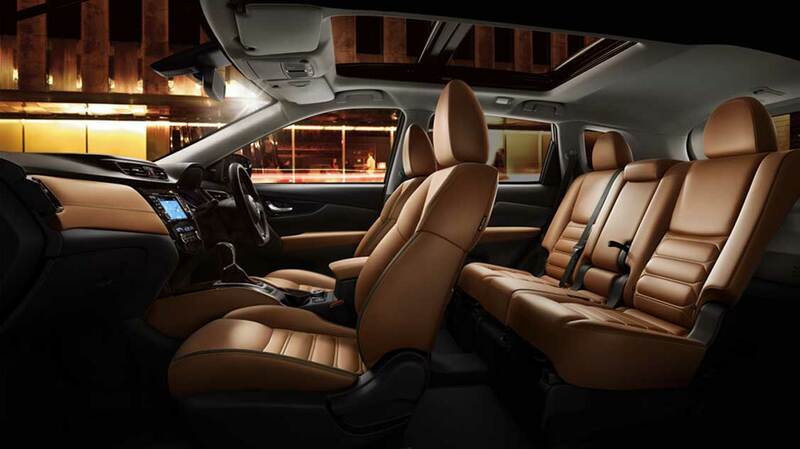 Ti model shown in optional tan leather-accented seat trim. Whatever kind of life you live, the Nissan X-TRAIL can accommodate it. Within its ample interior space, a series of clever innovations offer impressive versatility while maintaining superior passenger comfort. The second-row seating sports individual air vents, as well as a split-folding system that lets you open up a whopping 945L^ of boot space. The rear doors open wide to 80° giving you easy access, and the optional 50:50 split folding third-row* is perfect if you’ve got a large family - or a small team. 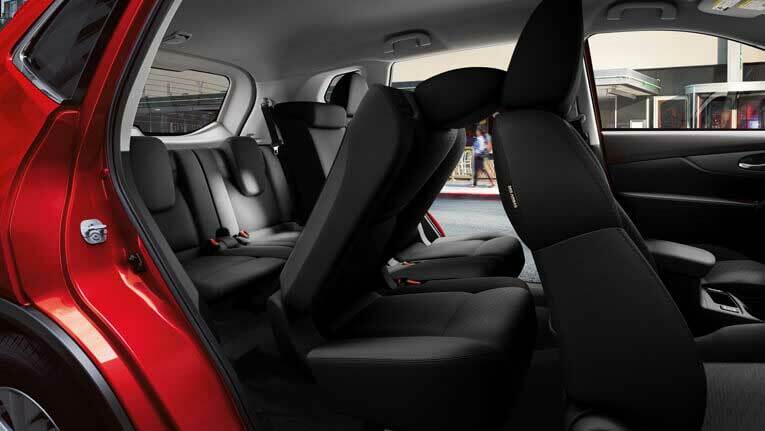 This truly accommodating second-row slides forward for easy access or adjusts to give you a little more cargo space, more leg room or anywhere in between. Hands full? 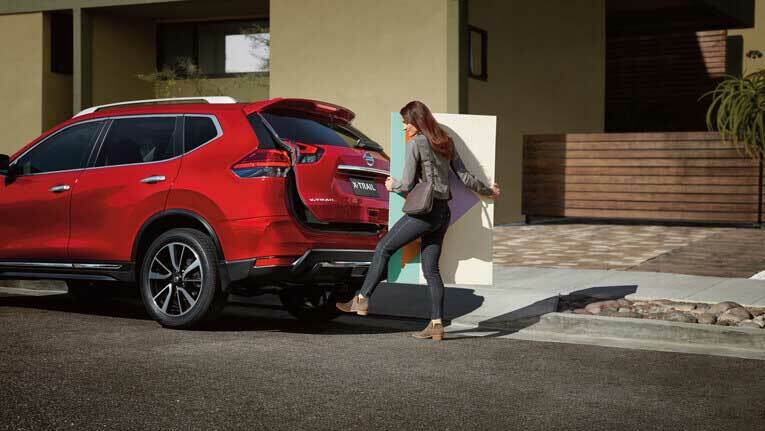 Just kick under the rear bumper to automatically open the motion-activated tailgate of your Nissan X-TRAIL Ti, without reaching for a key or juggling whatever you’re carrying. Imagine a co-pilot on board that helps keep an eye out for things you may miss. 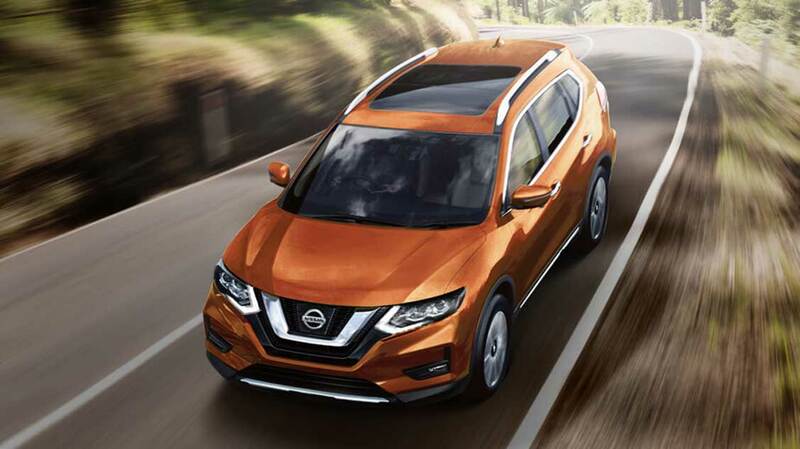 The Nissan X-TRAIL offers a suite of available Nissan Intelligent Mobility technologies that look ahead, behind, and all around so you can look forward to a new kind of confidence. Ti model shown in Ivory Pearl. 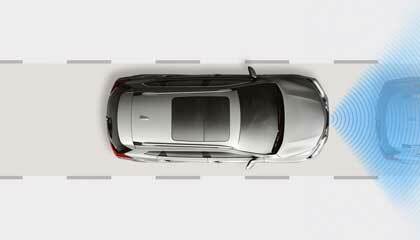 The Intelligent Around-View® Monitor^ uses four cameras to give you a virtual composite 360° birds eye view of your vehicle, with selectable split-screen close ups of the front, rear, and kerbside views, so you can get a better look. 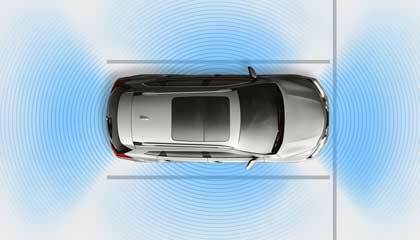 Moving Object Detection^ can detect moving objects near the vehicle, and can give you a visual and audible alert. ^ST-L and Ti models only. Driver’s aid only and should not be used as a substitute for safe driving practices. Always monitor your surroundings when driving. 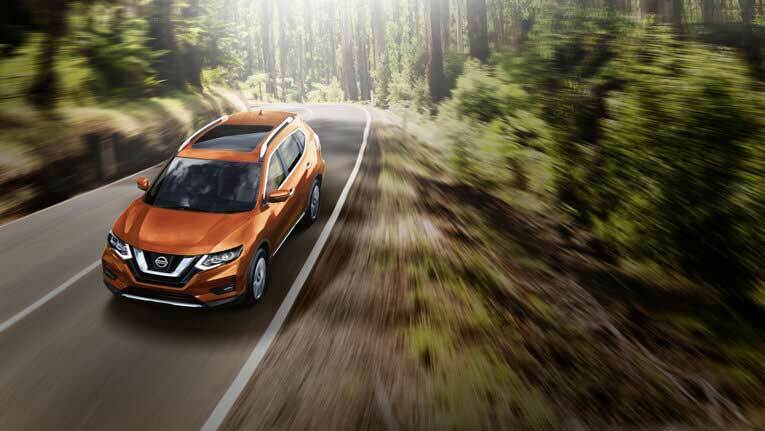 With Intelligent Cruise Control* the Nissan X-TRAIL takes the effort out of going with the flow. Instead of sticking to a fixed speed, it senses what the traffic in front is doing and can speed up, or slow down for you. *Ti model only. Drivers’ aids only and should not be used as substitutes for safe driving practices. Always monitor your surroundings when driving. 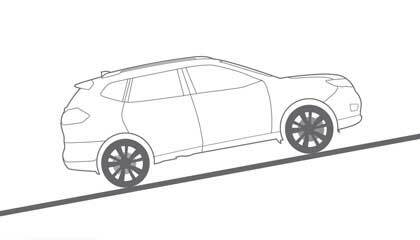 The system can help the driver avoid or reduce the consequence of a forward collision should one be unavoidable. It takes into account the vehicle speed and distance to the vehicle or pedestrian ahead, as well as driving and road conditions. 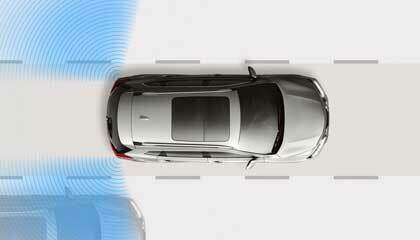 Intelligent Emergency Braking uses a radar sensor located on the front of the vehicle to detect vehicles ahead in the same lane and operates at speed upwards of 5km/h. For pedestrian detection, the system uses a camera installed behind the windshield and operates at speeds between 10km/h and 60 km/h. *ST-L and Ti models only. Driver’s aids only and should not be used as substitutes for safe driving practices. Always monitor your surroundings when driving. 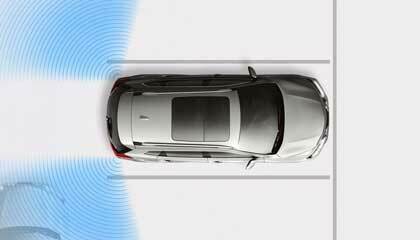 When you’re reversing, this feature watches the area around the rear of your Nissan X-TRAIL and can warn you of vehicles approaching within 20 metres either side. 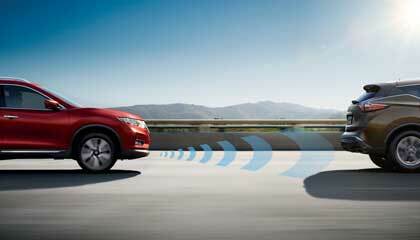 When the Intelligent Around-View® Monitor* is in use, and moving objects are detected around the vehicle, it gives a visual and audible alert. *ST-L and Ti models. Driver’s aids only and should not be used as substitutes for safe driving practices. Always monitor your surroundings when driving. 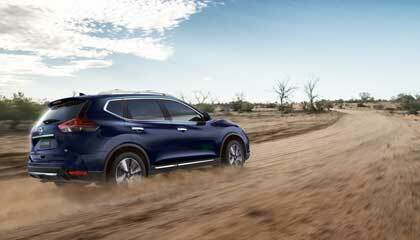 In the Nissan X-TRAIL, you’ll find clever technology that puts the driver in control. 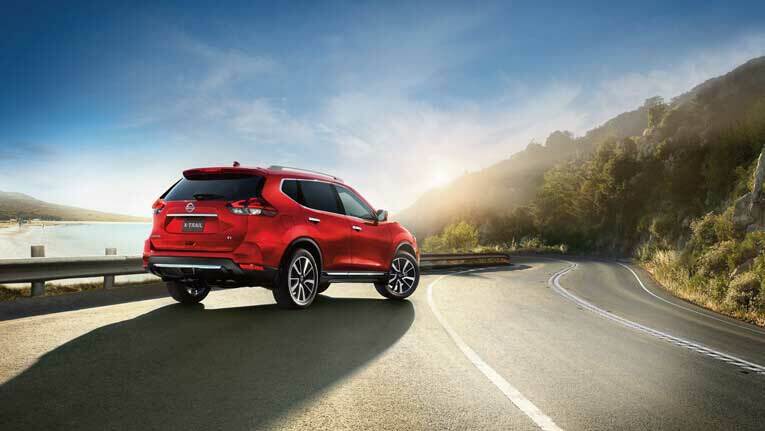 It starts with the Intelligent Key® that enables keyless entry and push button engine start. You’ll also find a wide 7” touch-screen display with satellite navigation* built in. With hands-free Bluetooth® phone and audio streaming your smart phone can be accessed and operated simply and safely. And it doesn’t stop there. From turn-by-turn directions* to caller ID, safety alerts and tyre pressure, the Advanced Drive-Assist™ Display puts it all right before your eyes – helping minimise time looking away from the road ahead. 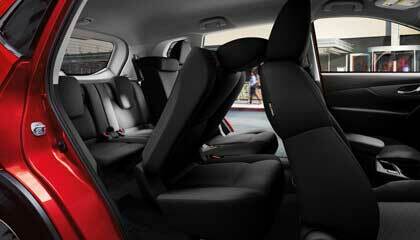 Ti model shown in black leather-accented seat trim. 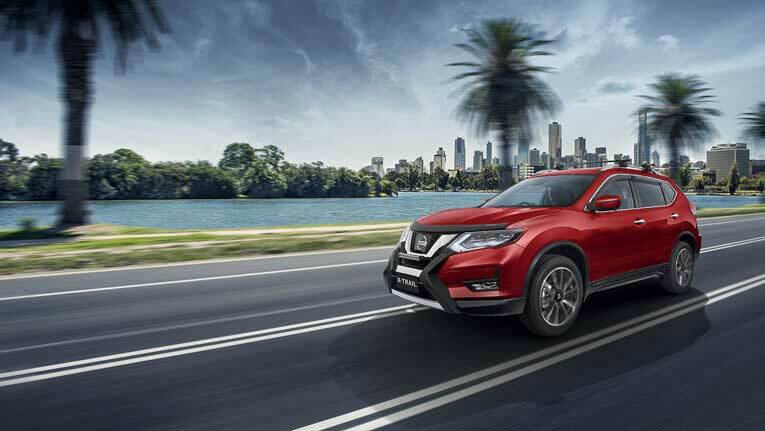 The Nissan X-TRAIL offers a range of efficient 4-cylinder engines paired to a clever Xtronic Continuously Variable Transmission that helps you ensure exceptional fuel economy, along with amazingly smooth power delivery. And with Eco Mode±, saving has never been simpler. 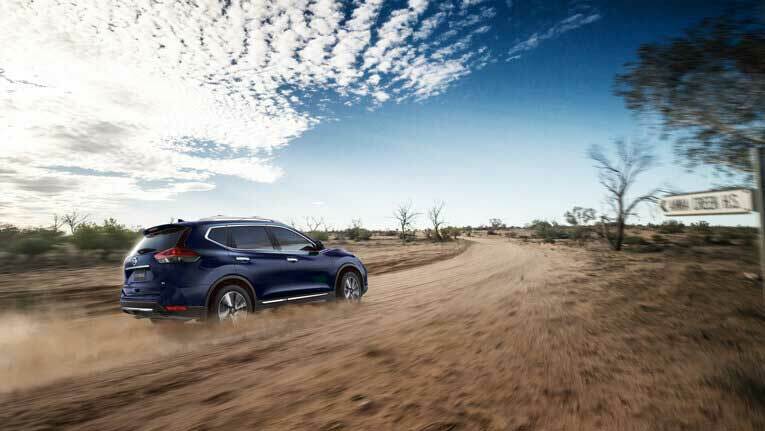 Push the dash-mounted button, and the Nissan X-TRAIL automatically adjusts to help further improve your fuel economy. Ti model shown in Copper Blaze. Snow, rain or tight turns, Intelligent 4x4* automatically distributes up to 50% power to the rear wheels as required. Getting a grip has never been more fun. Ti model shown in Marine Blue with optional accessories. 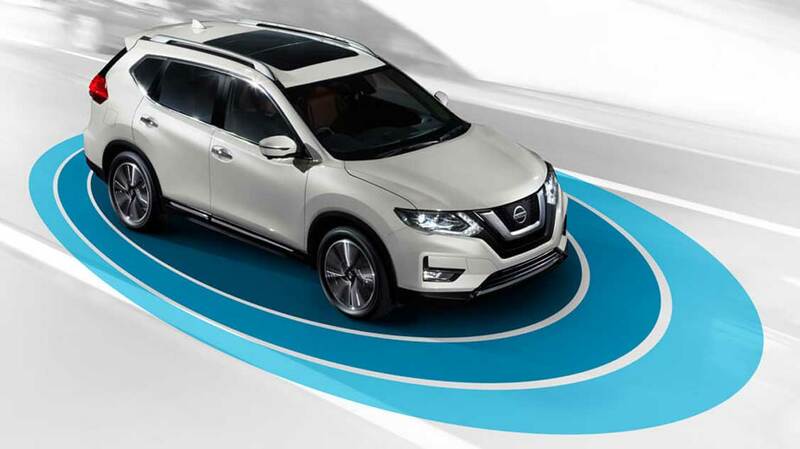 When stopped on an incline, Hill Start Assist can help keep you from rolling backwards when you move your foot from the brake pedal to the accelerator. 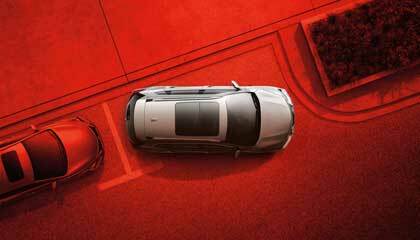 Enjoy the stares from the street in the Special Edition X-TRAIL N-SPORT. Featuring a stunning range of stylish improvements that include 18" black alloy wheels, black door mirrors, black roof rails, smokey chrome V-motion grille, dark metallic front and rear bumper, dark chrome front grille. These blacked-out Roof Rails are sure to toughen up your next X-TRAIL. Black Mirror Caps are sure to make a statement. 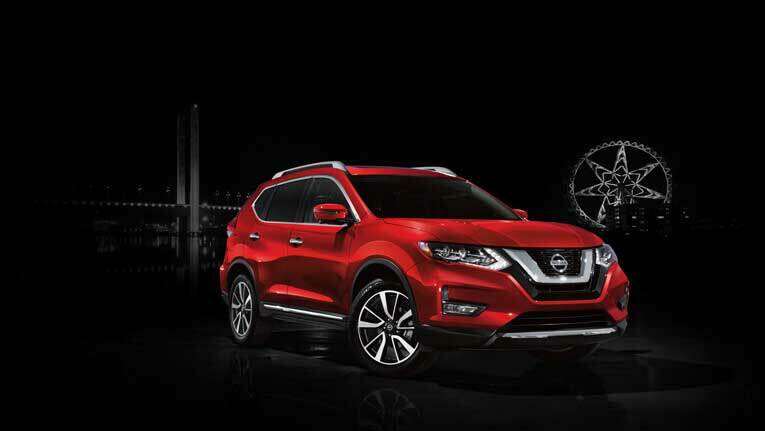 Personalise and complement the style of your X-TRAIL with these 18" Black Alloy Wheels.